Leah and Jordan first starting dating as juniors in high school at Grove City High School in Grove City, Pennsylvania. They dated on and off throughout college, while Leah was studying at Kent State University in Kent, Ohio. They have been together for 8 years. Their first date was at Leah's house with their other friends around. Jordan planned a day trip to Pittsburgh to visit Mount Washington for Friday August 11th. He had told her all week that he was "stressed" at work and just needed a day in the city to relax. So he worked a half day on that Friday and then they went to Mount Washington for lunch. They went to Red Beard's, which is their favorite restaurant there and then walked around Mount Washington after lunch. They went to the first overlook to take pictures but it was too crowded so they went to the next overlook. Jordan told her to look at the city and he would take a picture for her mom and when he was done she turned around and he was down on one knee. 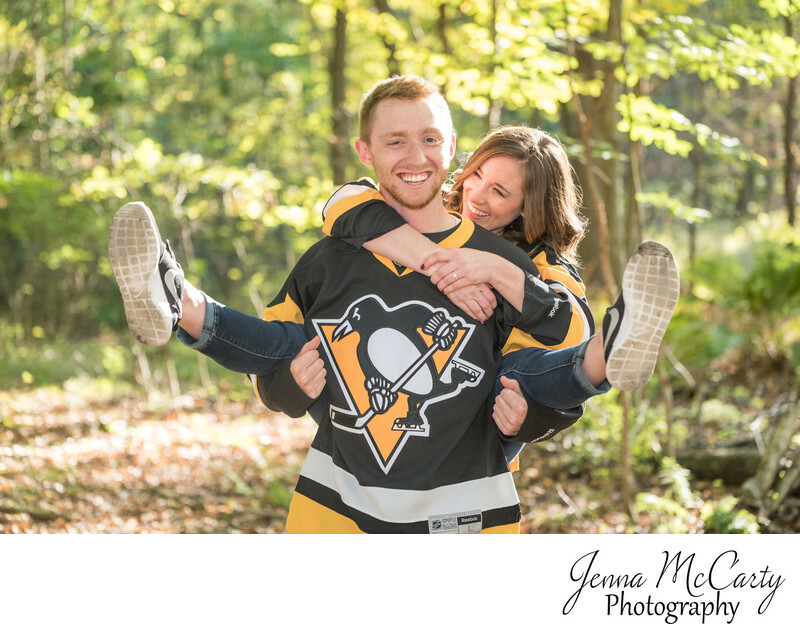 They choose to have their engagement photos at Grove City Park in Grove City Pennsylvania on early October near the golden hour. Location: W Main St, Grove City, PA 16127.